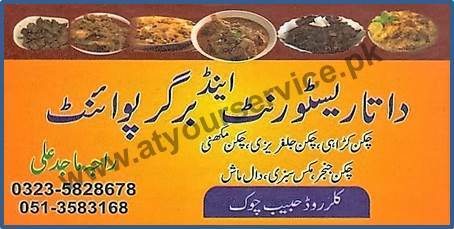 Data Restaurant & Burger Point is located at Habib Chowk, Gujar Khan. We serve local menus such as chicken karahi, chicken jalferaizi, chicken makhani, chicken ginger, mix vegetable, and daal maash, etc. We also serve very special burgers.